HTC seems to be updating its smartphone line up for this year now. Since few months, HTC smartphone’s sales graph move down because people were not getting the latest version of Android in its smartphones. But now HTC is going to update the line up soon with HTC One mini, HTC Desire 200 and many upcoming devices which are right nor rumored but right now I got review of one new device announced by HTC. HTC has announced Desire 600 featuring dual SIM card support and it will have a price tag of less than 20k INR. I got chance to get my hands on this device and found everything very impressive. After playing out on this device for one day I’m pretty sure that it’s going to affect other similar smartphone’s sales graph particularly Samsung. I always start doing the review with the design as this is the first thing we get experience. Everyone knows about the quality of home work HTC does on design of every new device it manufactures. This time, HTC hasn’t done great home work in design but still the device looks good. I didn’t like the rear part of the device because the rear design was looking similar to other smartphones available at cheaper price in the market though front look was fine. If I remove HTC logo from everywhere on the device then it will be very harder for anyone to make out the device was manufactured by HTC as it doesn’t holds any unique design. 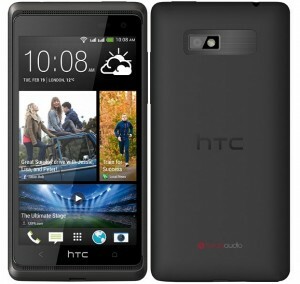 HTC Desire 600 has got Super LCD2 panel on which 4.5inc diagonally measuring display has been added. The display looks good in sunlight as the brightness levels are good. The device has got resolution of 540×960 pixels and it offers 245ppi pixel density which sounds average these days but the display quality was good. I’ve been playing with lots of Sony smartphones and found the display quality of this device better than Xperia L. Viewing angles were good since it was holding LCD panel. It’s holding Snapdragon 200 chipset with quad core Cortex A5 processor featuring clock speed of 1.2GHz. I didn’t find any lags in processing but I didn’t find device working well while running more than 4 apps simultaneously. You need to make sure you close apps after usage otherwise performance will go down. Adreno 203 GPU is also there and I found its role while playing HD quality games like Zombie Run HD and GRave Defense HD. Movie playing was also good but was limited to only HD (720p) quality not for full HD. 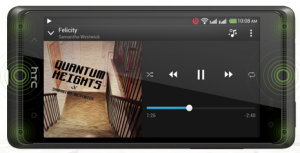 HTC has been always good at providing a unique user interface to the android OS and this device holds on to HTC Sense UI v5.0 with Blinkfeed which was introduced with HTC One. The OS looks good and gives a feel of playing with HTC One but still the OS version is outdated. Its running Jelly Bean 4.1.2 right now but very soon it will be receiving update for 4.2.2. There is an 8MP shooter at rear featuring face detection, smile detection and supported by LED flash for taking better quality pictures in low light. The picture quality was identical to what I’ve been experiencing since one year with 8MP smartphone camera. There is 1.6MP camera too in front which I found better than any other smartphone’s front camera but not high end smartphones. The device is good if I talk overall about it. In fact, it’s the best smartphone under the price tag of Rs. 20,000 in India but it needs to receive Android version update soon otherwise other brands will definitely take over it. The best experience with Desire 600 was while watching movies and playing games. It features BoomSound and got packed in with loudspeakers at top and bottom of display on front. These speakers help the device to shout louder but sustain the quality. The device supports dual SIM cards (micro SIM) and up to 3G cellular network. HTC is offering free 25GB Dropbox storage. The device isn’t capable of making a day out as I’ve to plugin charger after 16 hours of overall multimedia usage but still this battery life is impressive.